Note: In recent times, we’ve found this method doesn’t always work across all devices. For a bullet-proof way, read our article about Finding Any Google ID which combines your personalized Google ID with a standardize url that works on all browsers and devices. Have you ever been frustrated that Google doesn’t give you a simple place you can send customers to read your reviews? When Google overhauled Google Plus, they killed most of the features that were useful to businesses, including the ability to show your customer reviews. For a while we found this vexing, and we struggled to find a reliable way to add a links to our clients websites so their visitors could read their reviews. We tried linking to Google maps, but found this didn’t work reliably on mobile devices. However, after some experimentation and testing we eventuality found a suitable solution. 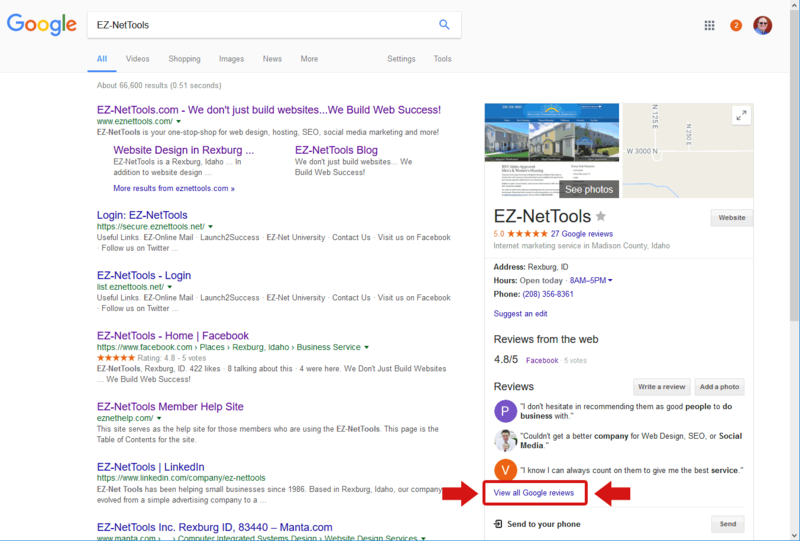 In this article I’ll explain how we add links to your Google Reviews, and also show you how make a direct link where customers can leave a Google Review. Step 1. Open a browser, but don’t use Chrome. You can use Firefox, or Edge, or even Internet Explorer but not Google Chrome because it alters the URL and your link will not work correctly. Step 2. Go to Google.com and search for your company’s name. Step 4. Copy the URL in the address bar. Step 5. Now paste the URL as a link on your website. That’s it. 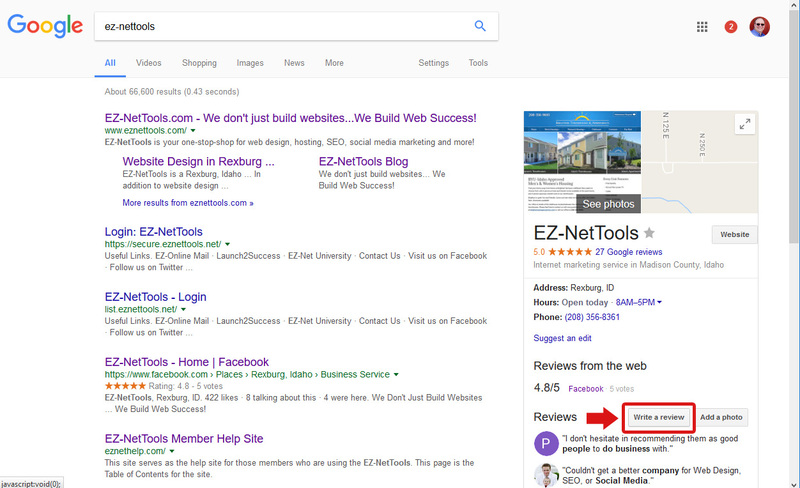 You now have a link to your Google Reviews so you can show off how much your customers love you! If you don’t see the card on the right when you search for your company name, try to make your search more specific. Sometimes companies that have generic names won’t have their card show up in the search results. Just like before, open a browser (not Chrome) and search for your company name. 2. Click the “Write a review” button. 3. The the URL. Simple as that. Adding links to your Google reviews is nice, but wouldn’t it be nice if you could show your Google reviews right on your website? 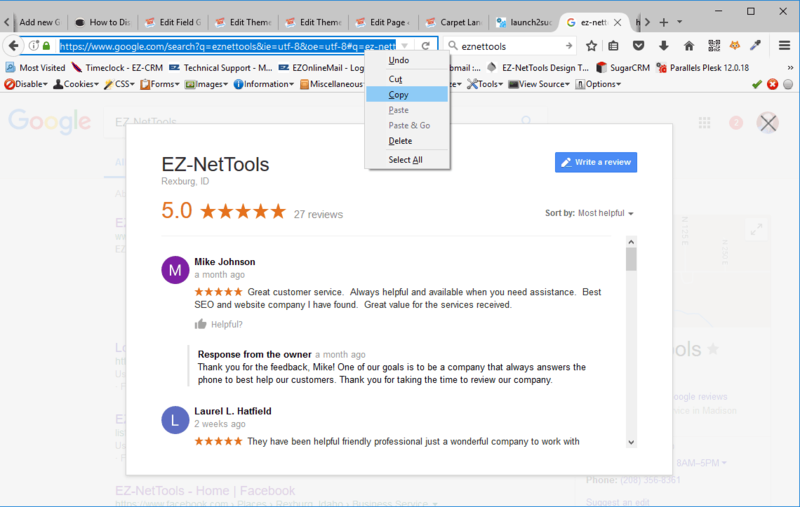 We thought so too, so we wrote a simple guide to displaying Google Reviews on your website. It’s been overwhelming successful and it one of our most popular guides. Yes. I did it to my site. But sometimes it shows blank. I didn’t any issues to the process. 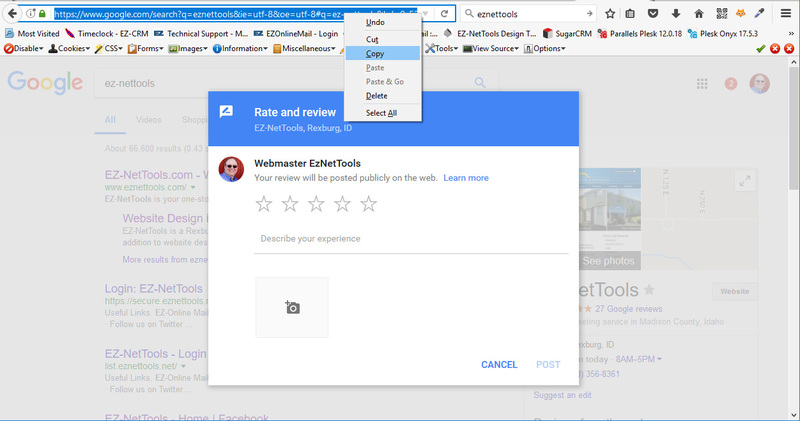 Then i found the plugin and use this to generate all reviews of Google business page. And its still working perfectly. I have a request to you man, can you tell me what was the problem? Thanks for sharing this. I found a much simpler solution for displaying a button to link to my Google reviews. First I got the link, like described above. When I copied the link, there were 3 commas (,,,) at the end and it didn’t work. I noticed that your link has only one comma at the end, so I removed the two surplus commas and hey, it worked. Perhaps not the most elegant solution, but good enough for me! I am little lost as to where do I put the code on my WordPress site. I want it to show on the sidebar on the homepage. Sorry new to WordPress. I have saved the code on my word pad and hopefully it will work. Do you think someone can offer some help if things go south :D.
Anyway, you may need to install a plugin that let’s you add head code to a page. Put everything except the div in the headcode. Then put the div where you want the reviews to show up. Hi Nizam, The Google API doesn’t display the most recent reviews. It displays the “most relevant” reviews (according to it’s algorithm). This is something we can’t control. Hello, Any way to show the aggregate Google Reviews rating average on our website ( I use strikingly). Following that, is there then a way to display this average rating in an organic google search result? These posts are awesome! Thank you. Everything I have done works. after following the guide, i couldnt get it done… i use custom html on my joomla site and nothing, i have the right google place id and even took off the script source as you mentioned on troubleshoot, but still doesnt work.